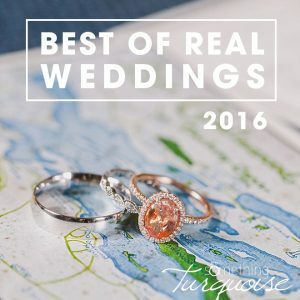 As a fashion, DIY, beauty, and decor writer, it’s probably no surprise that my wedding was full of DIY decor and details. 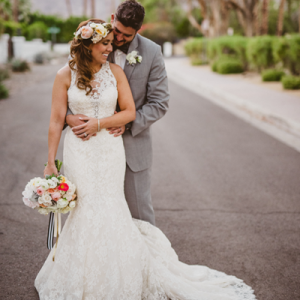 I was thrilled when people complimented my dress, but I was ecstatic when they complimented my DIY projects. 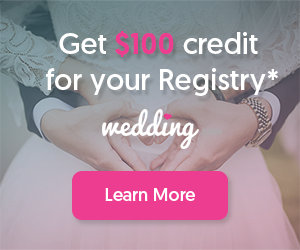 In an effort to inspire other brides, I’m going to take you through a DIY tour of my wedding day. I chose these projects because they complimented my vision and were at the skill level that I felt comfortable with. If you like something you see here, give it a try or search for similar inspiration and get those creative juices flowing (pro tip: follow these simple rules to keep your crafting costs down). 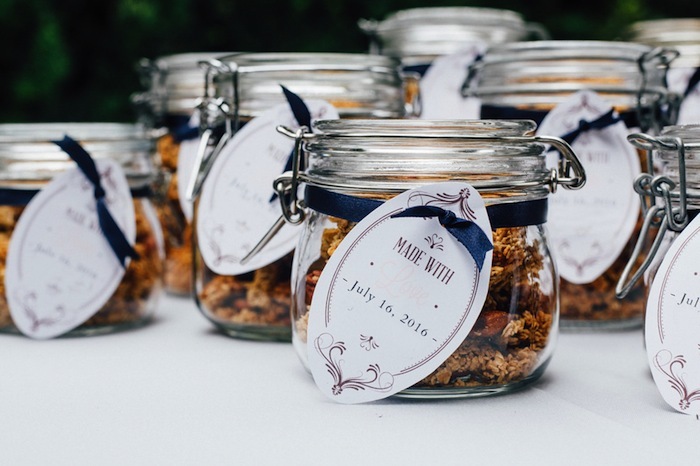 That’s the wonderful thing about being a DIY bride – the details are literally in your hands. Something Turquoise Diamond Card Box – My now husband was terrified when I showed him this tutorial. Trust me on this: it looks much harder than it is. 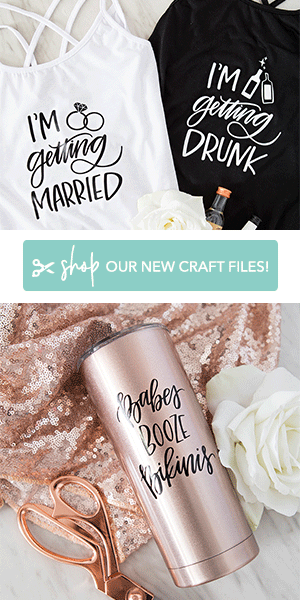 Jen has a free printable template and I found all the supplies I needed at my local Michaels Craft Store. 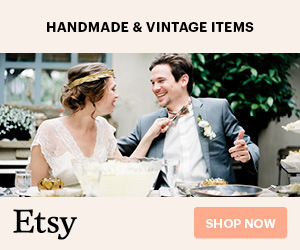 Bonus: it makes a great wedding photo prop when your new husband puts it on his head. 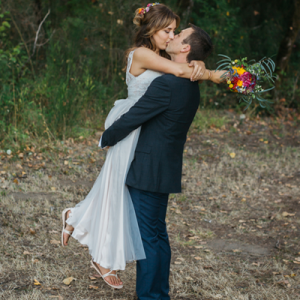 Tomorrow you’ll get to see our entire wedding, here on ST! 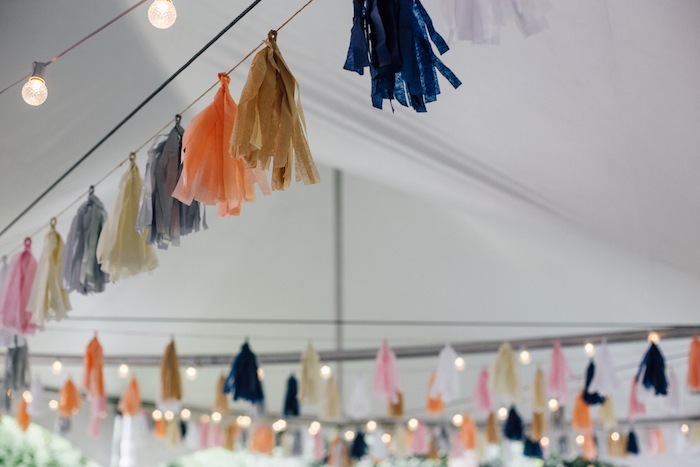 Tissue Paper Tassels – I still can’t believe we made 260 of these! No one was safe from getting suckered into making tassels: family, friends, and co-workers pitched in to help us make this DIY project. If you decide to try your hand at these (they are so easy! ), don’t skimp on the quality of the tissue paper; you can literally see the difference and you’ll get a much better end-product if you purchase quality paper. I purchased my tissue paper off Amazon and followed this tutorial here. 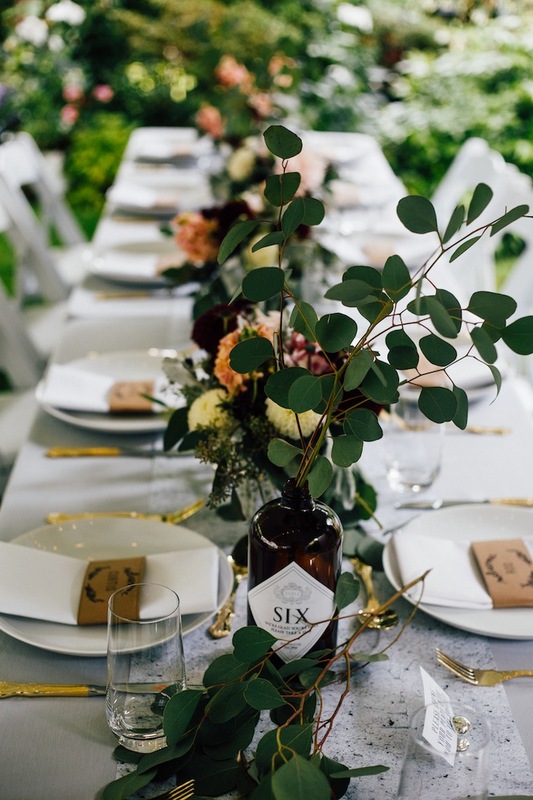 Something Turquoise Table Numbers – Another Something Turquoise special! 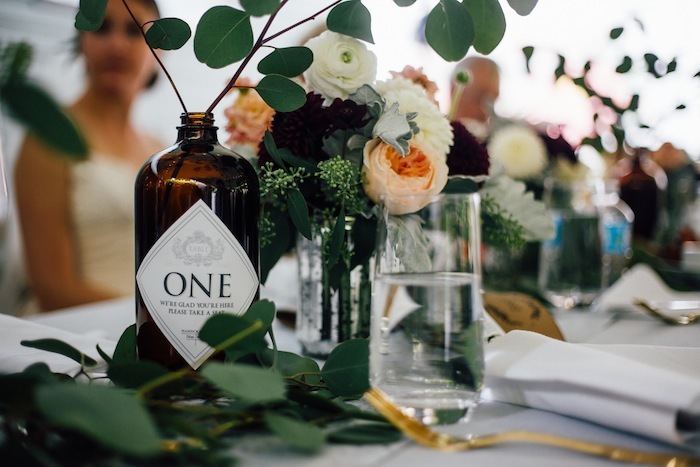 Jen made these custom table numbers for me using my label inspiration: Hendrick’s Gin. I thrifted the bottles from my local Value Village for $5 each and my florist filled them with fresh eucalyptus. You can find the free printables and instructions here. 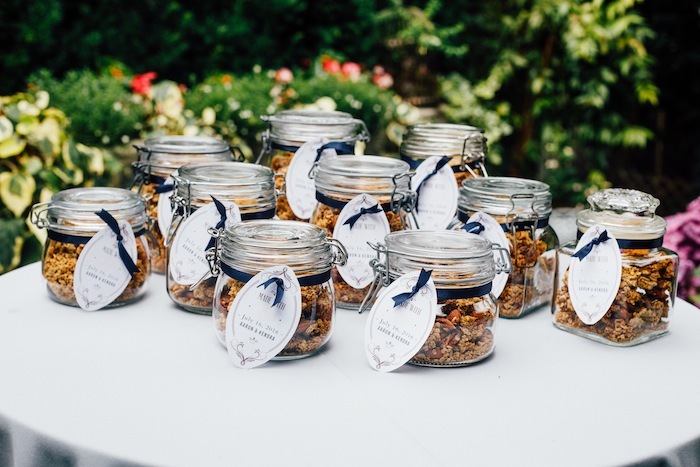 Handmade Granola Favors – Continuing with our brunch wedding theme, we decided to give homemade granola to our guests as favors. To make them extra special, we thrifted 36 glass canisters and jars and then I downloaded, printed, and customized our own gift tags. You can find the full tutorial here. 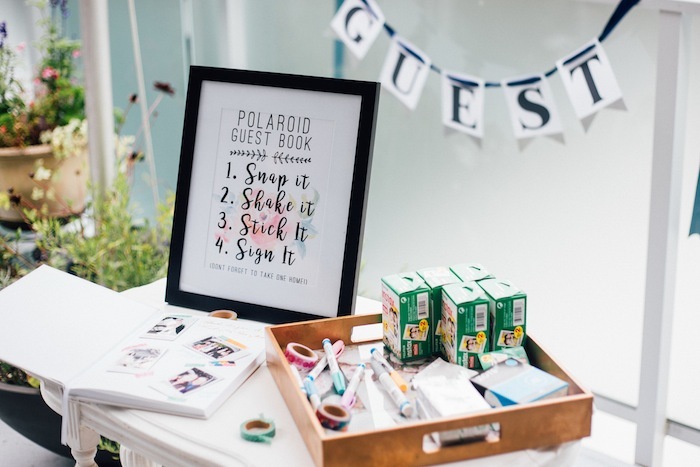 Polaroid Guest Book – This was a wedding guest favorite. 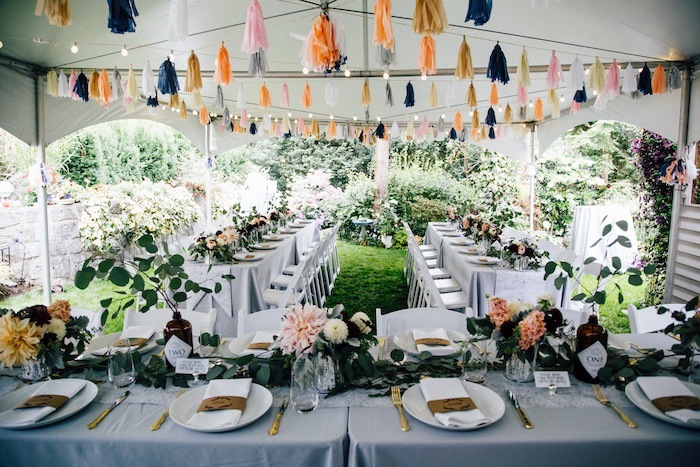 To make this, we purchased a Polaroid Instax camera off Craigslist and supplied our guests with all the supplies to leave their warm wishes: colorful markers, washi tape, glue dots, and stickers. After everyone signed the guestbook, the camera was passed around all night and ended up capturing some of my favorite candid moments. 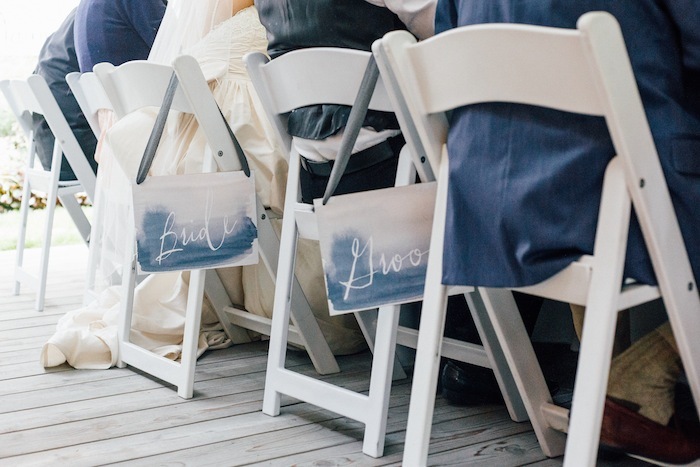 Bride and Groom Chair Signs – Another easy DIY! 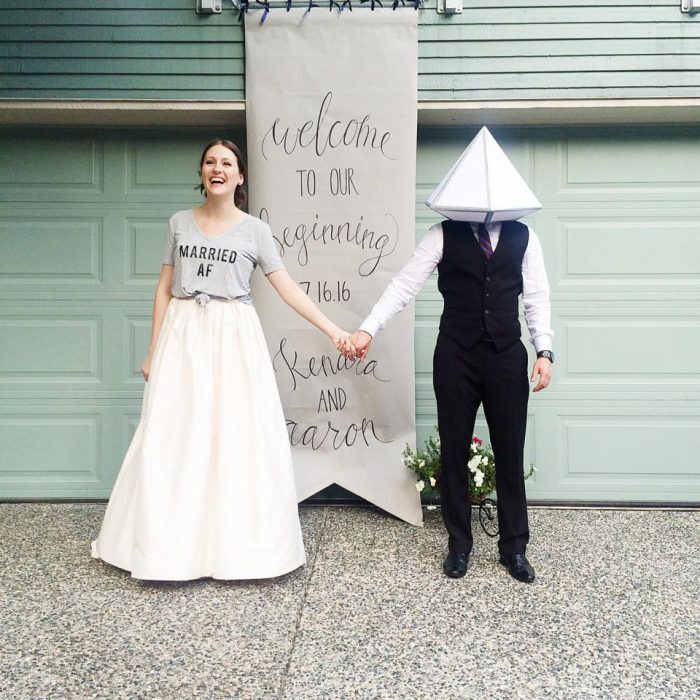 I printed off free bride and groom watercolor signs, stuck them on to cardboard with tape, and then attached a piece of ribbon. Here are a few free printables to get you started. 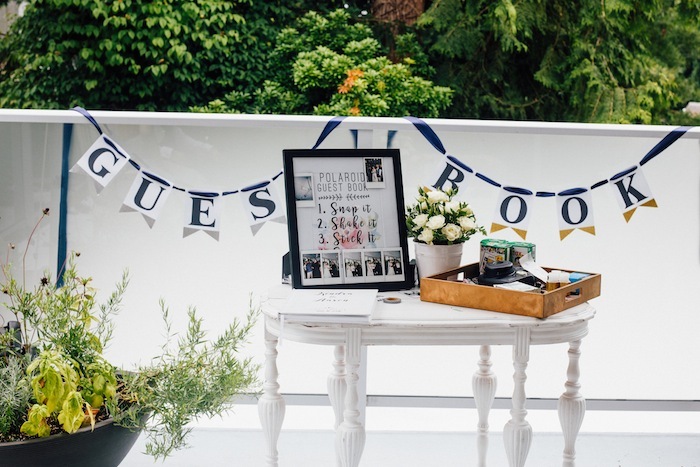 Something Turquoise Guest Book Banner – If a wedding doesn’t have a bunting banner, did it really happen!? Of course, but with so many free printable options, bunting banners are an easy project to make yourself. I printed mine off from Jen’s templates here and then added some sparkle with glitter tape that I purchased from Michaels. 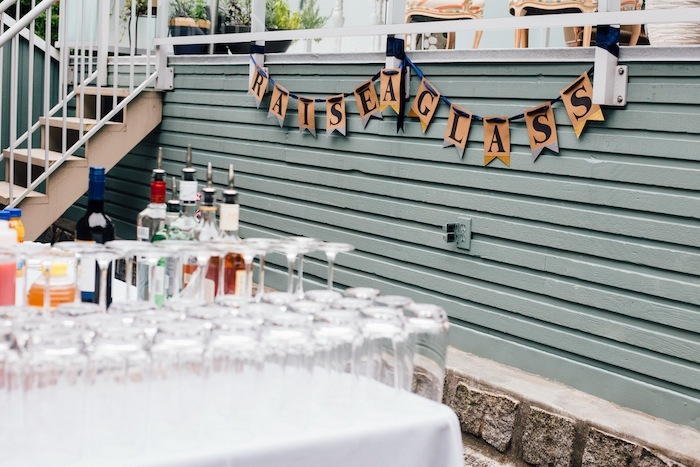 The best part about these banners is that you can customize them to say anything; we had “Guest Book,” “Best Day Ever,” and “Raise A Glass”. 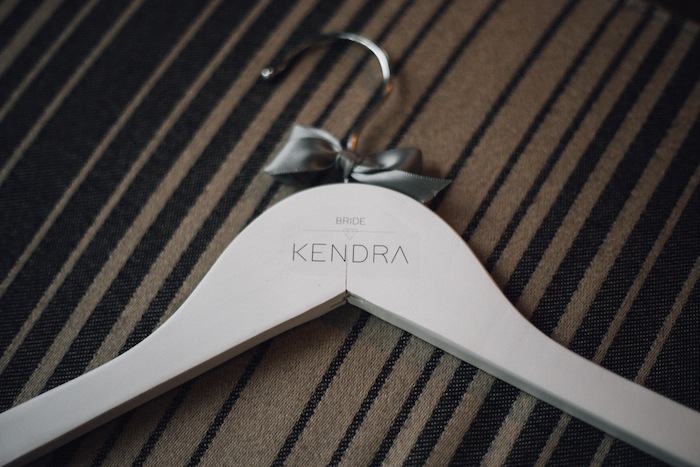 Place Cards – This was one of my favorite projects because it was very simple but made a big impact. 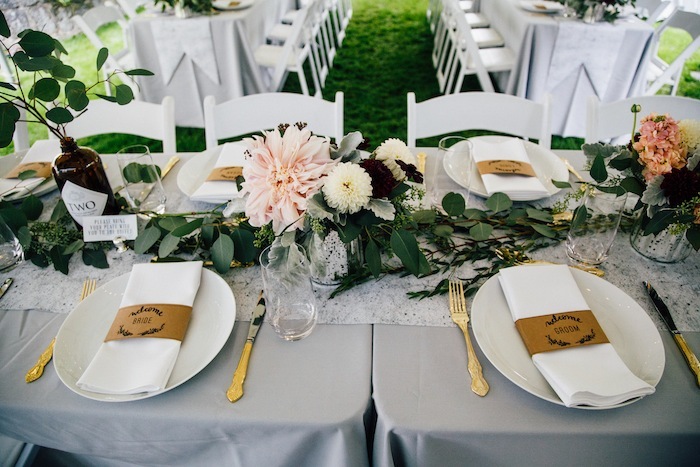 Using Photoshop Elements, I edited this free template to customize the napkin holders into name cards. If you want to give this a try but don’t have PhotoShop, download a free trial here or purchase PhotoShop Elements (the bare-bones version) here for $99. 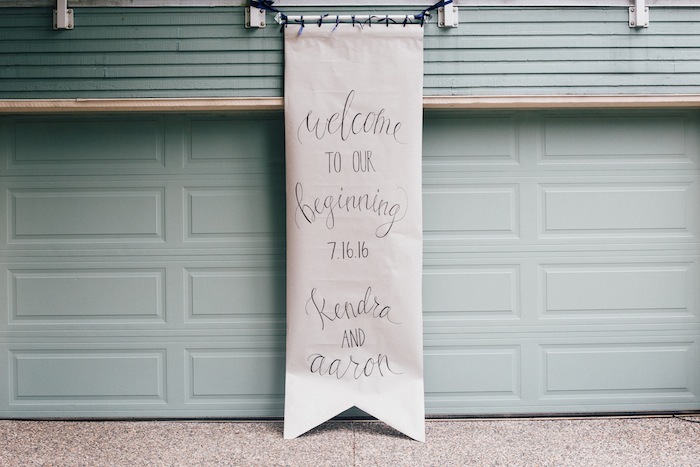 Welcome Banner – I left this DIY up to the professional with freakishly beautiful handwriting: Jen. 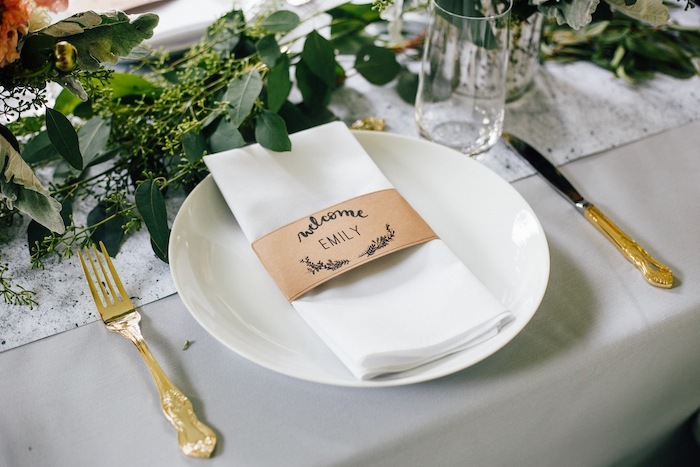 This was beyond my skillset, but if you happen to be one of those freakishly talented people with freakishly beautiful handwriting, this DIY is a must. Jen made the paper scroll out of thick paper and then Something Turquoise-ified it with some glass paperweight diamonds from Michaels. 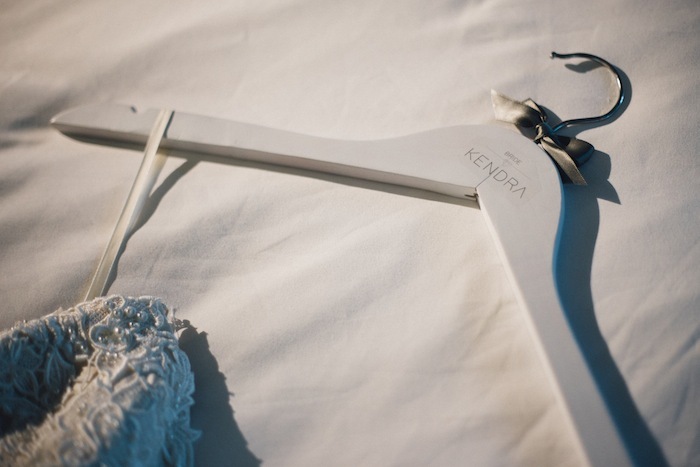 Bridal Hanger – This was another Jen-special; to make your own hangers, check out these tutorials here, here, and here.